Version 2.0 of the S2G Data Viewer has been released and can be downloaded here. 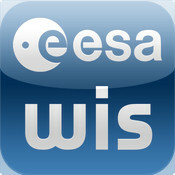 The new ESA WIS (Release 1.5.7) is now available in the App Store. The documentation is accessible without any registration via the Docs and Mission Data Link in the top horizontal bar. Use the "Create an account" link in the right panel. Fill and submit the registration form. An e-mail will be sent to the address provided with an activation link. Log in via the Login Form in the right panel. Select the product you want to download (you can select the main areas, Applications or CFI, via the top horizontal menu and then the specific product via the left menu). open the Registration link on the left panel. You will be requested to provide some information and agree with the Software Licence. The EOP System Support Division distributes documentation, data and Software tools aiming to help users involved in Earth Observation missions preparation and exploitation.